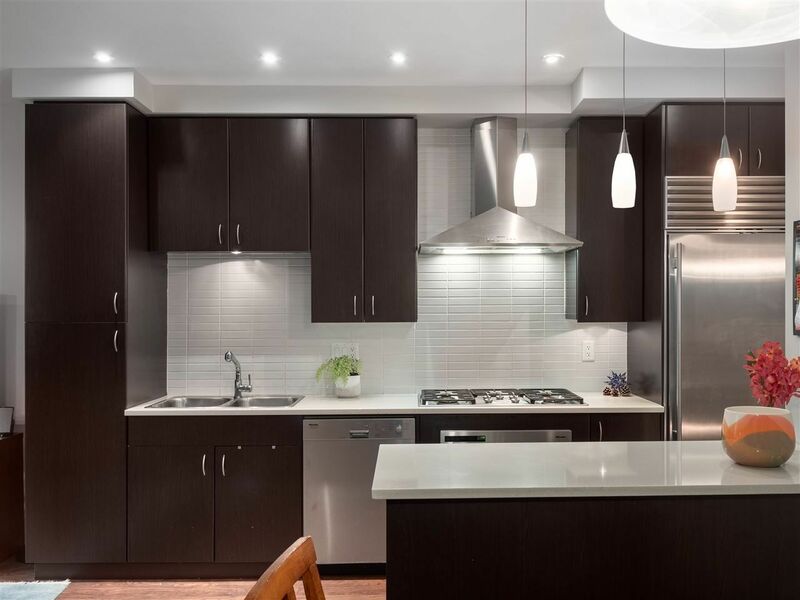 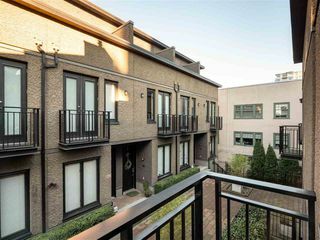 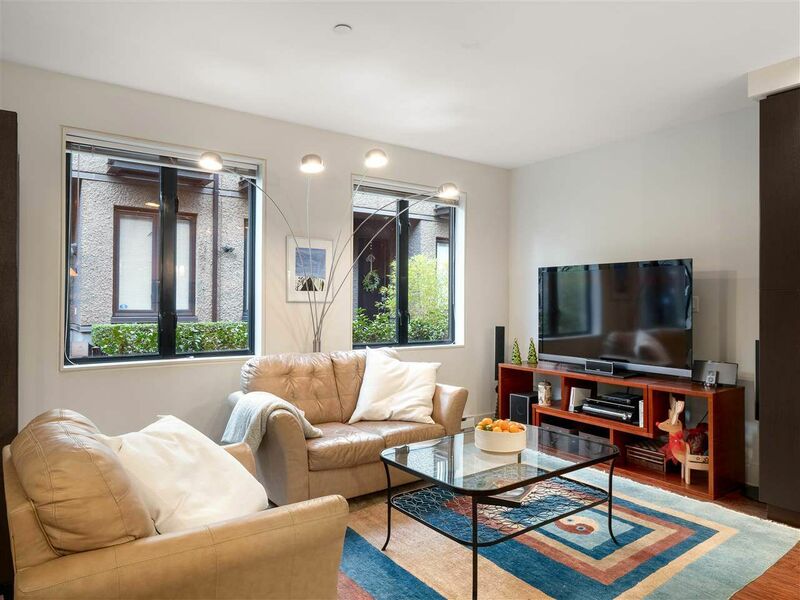 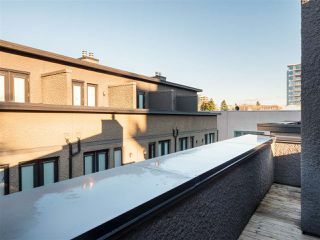 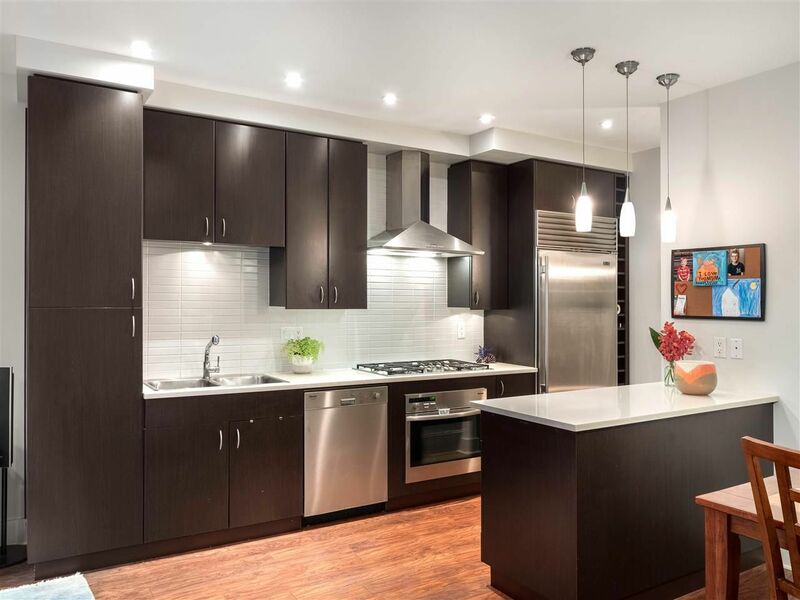 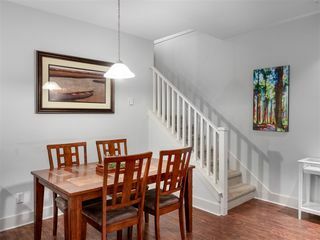 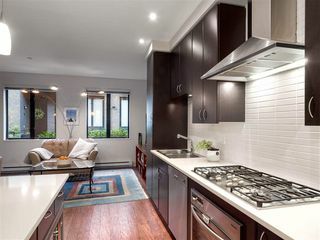 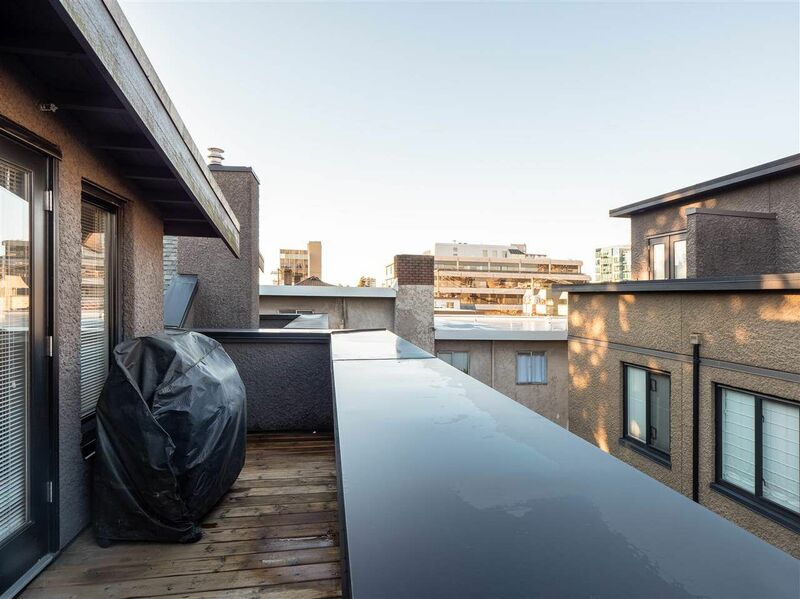 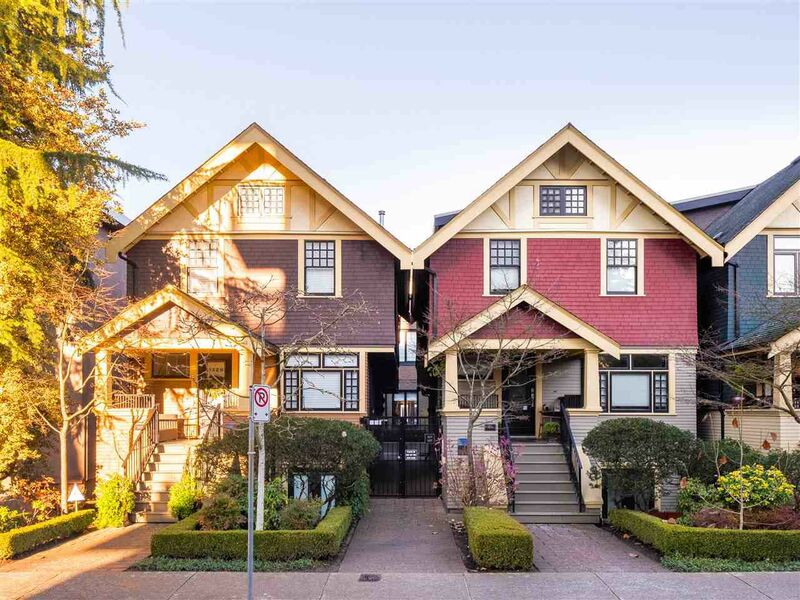 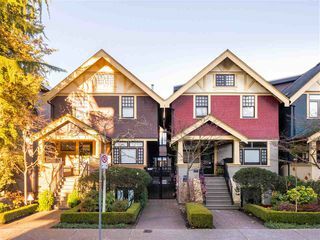 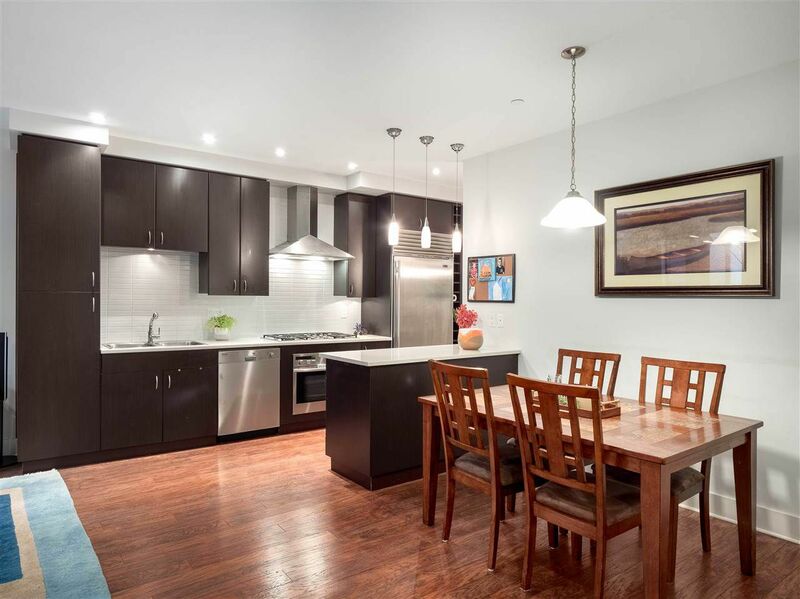 Beautiful duplex-style townhouse offering over 2000 sq ft of living space just steps from the best restaurants, shops, galleries and cafes of South Granville. Designed by award-winning Birmingham & Wood Architects, enjoy this home's expansive bedrooms, amazing location and quality finishings throughout. 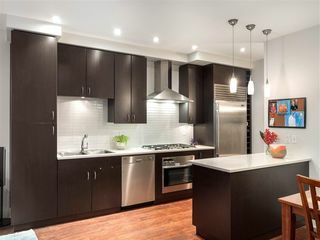 Enter into the open-plan living and dining area with gourmet kitchen featuring Miele and Sub Zero appliances. 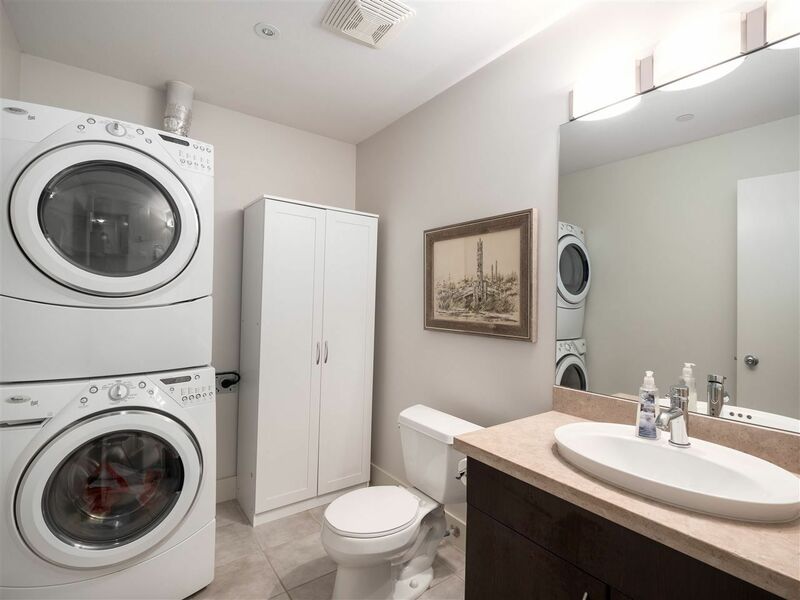 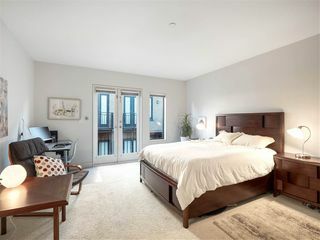 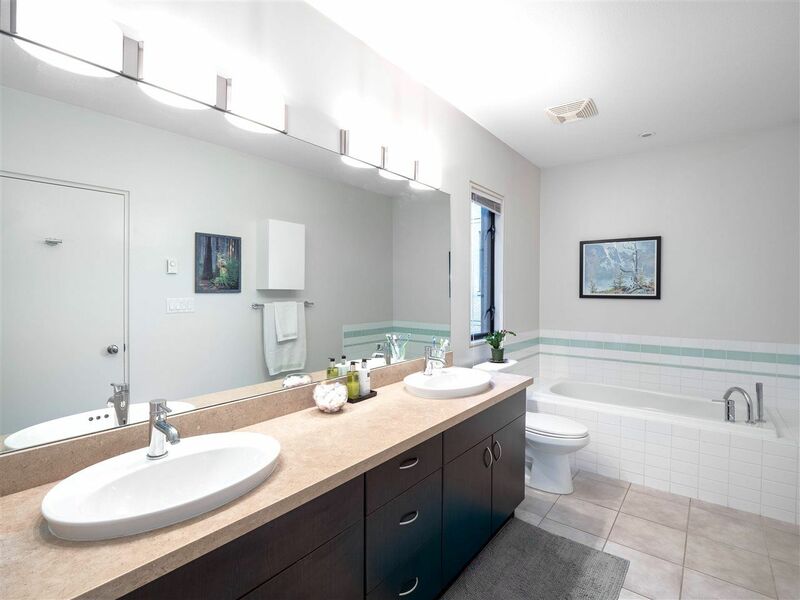 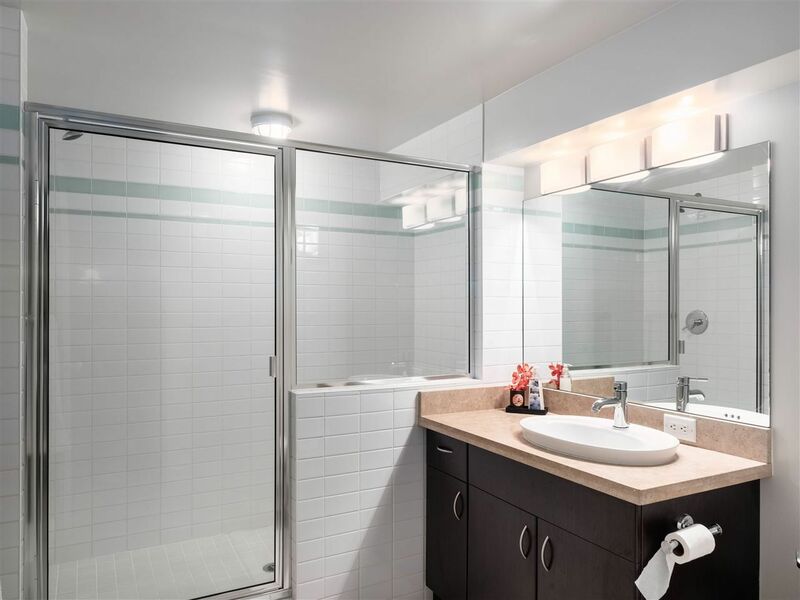 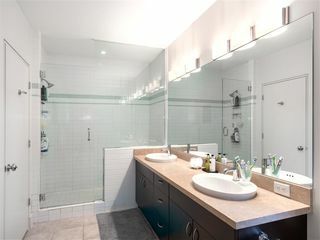 The master offers a walk-in closet, large ensuite with soaker tub and juliette balcony. 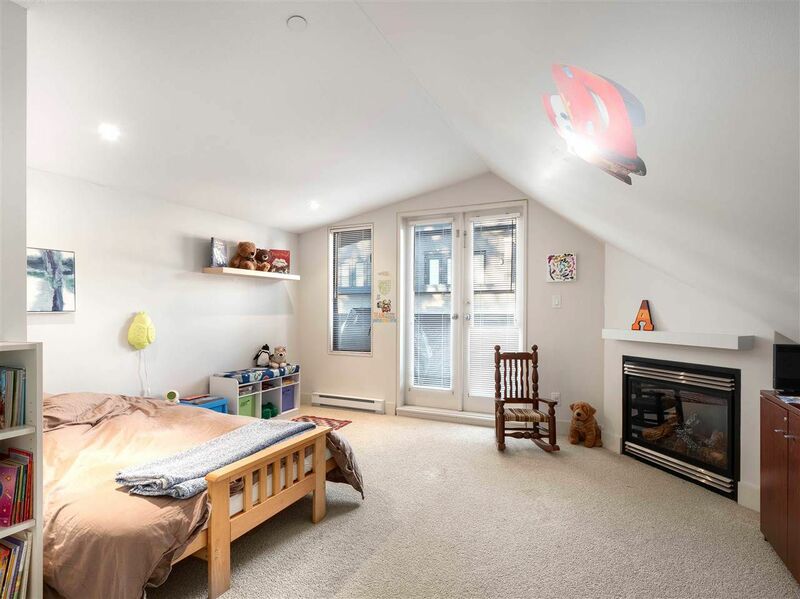 The upper bedroom has its own gas fireplace and French doors leading onto a good-sized balcony - could also make for an impressive office or family room. 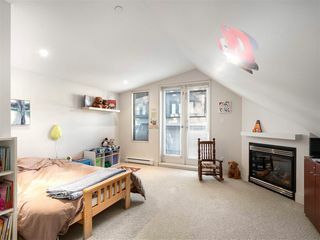 Downstairs, the lower bedroom has a full ensuite. 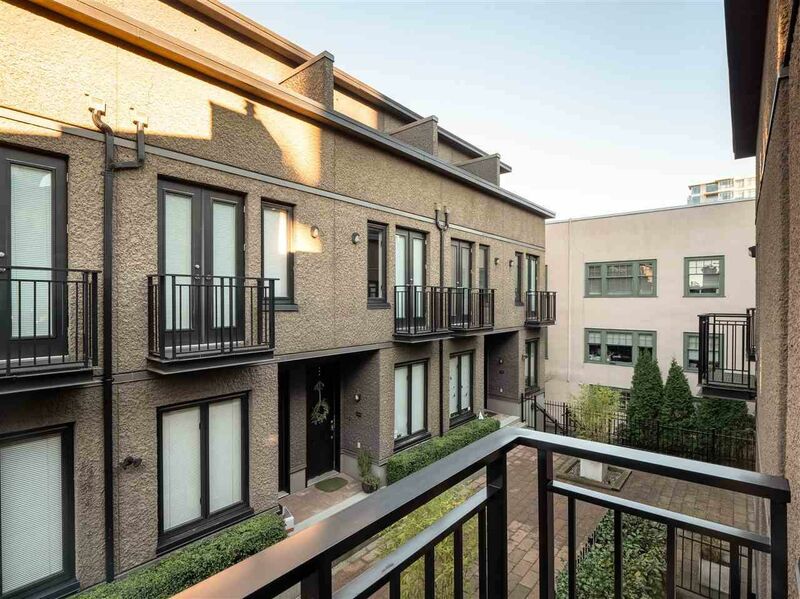 The entrance lies within a quiet, gated courtyard for added peace of mind and privacy. Great strata. 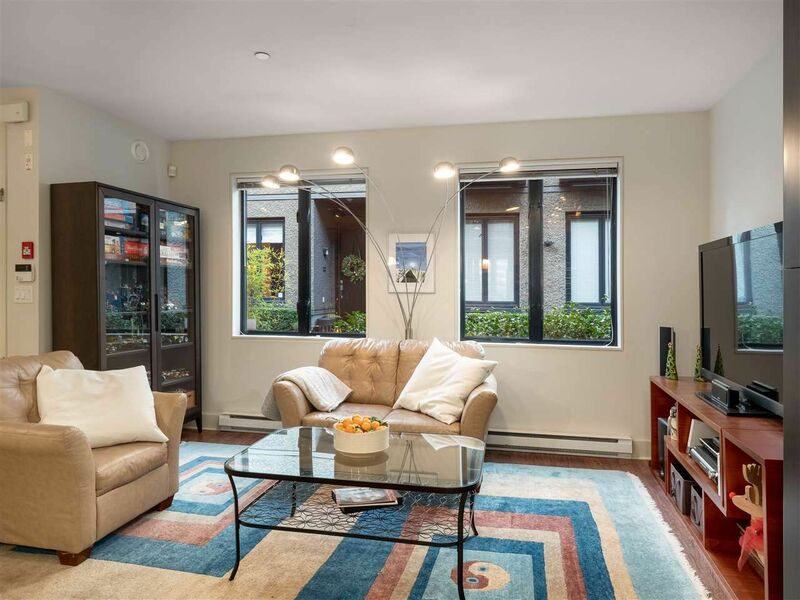 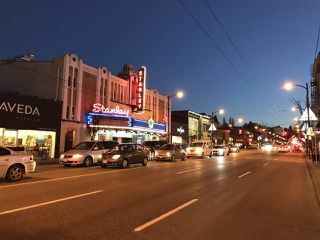 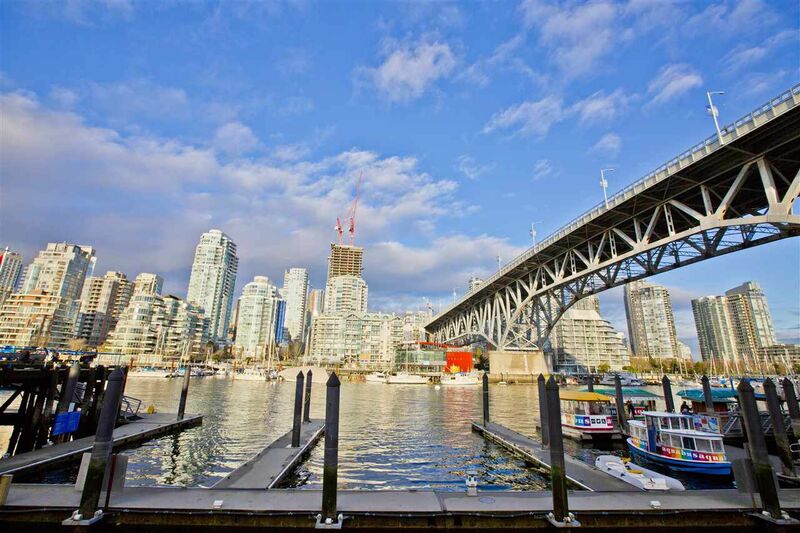 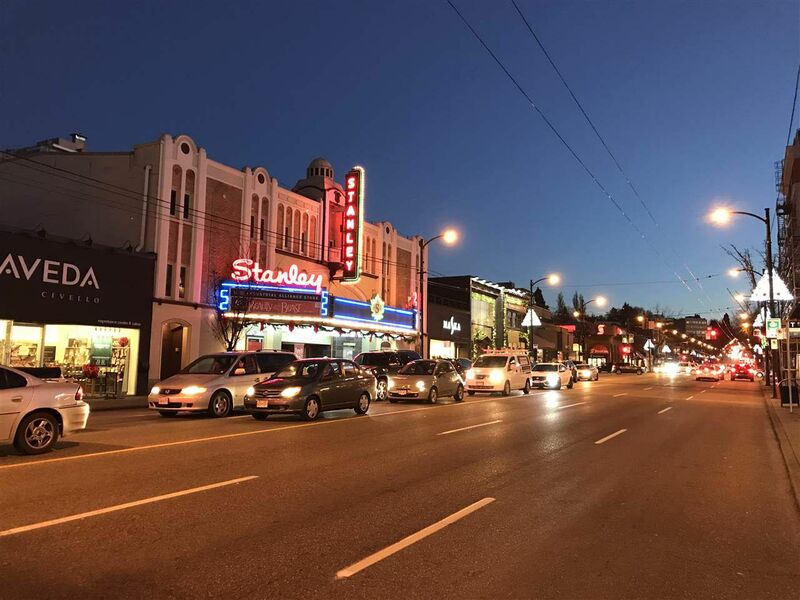 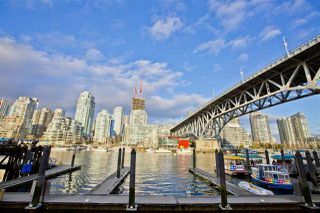 Centrally located, enjoy being only 2 minutes from downtown and Granville Island while living on a calm street. Pets and rentals allowed. 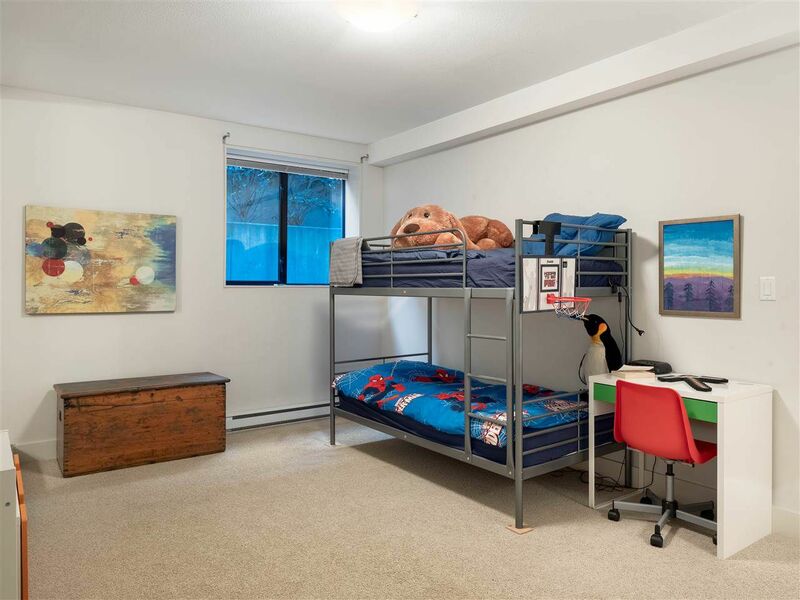 Close to Granville & Shaughnessey Parks, great schools and recreation.